I adore chimichurri sauce. From grilled meat (it’s best friends with skirt steak), to roasted veggies and everywhere in between, its the LBD of sauces. 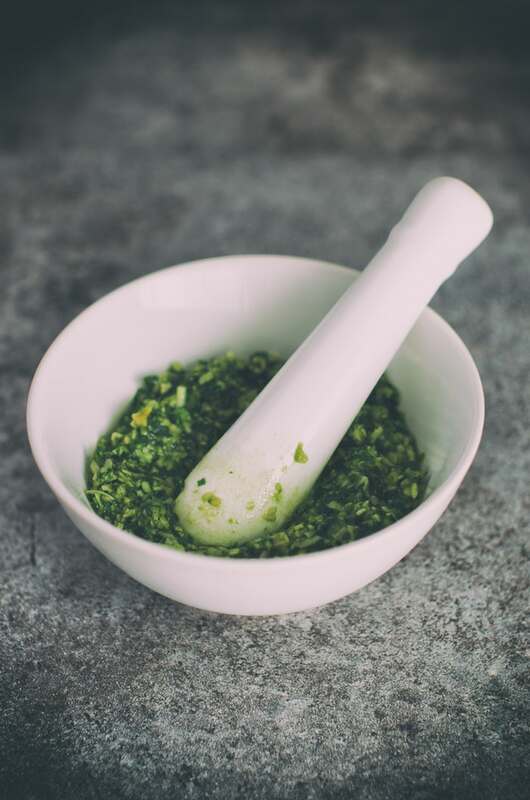 Place garlic into blender or mortar & pestle. Mince. Add in vinegar, parsley, and scallion. Process and slowly add in olive oil. Once oil is added, add in pepper flake, oregano, salt and pepper to combine. Serve immediately.